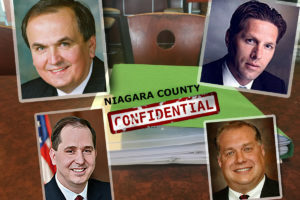 Niagara County native is one of only a few here that have won the "Environmental Champion" award from the E.P.A. 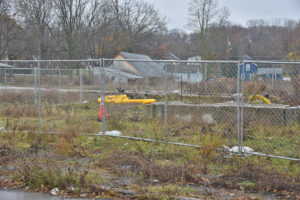 In her battle to tear down and remediate the heavily contaminated site at the Flinkote plant on Mill Street in Lockport, Shirley Nicholas has encountered push-back from politicians and frustration from their inaction. “Chris Collins. I’d like to call him a dirty name,” said Nicholas, who rarely minces words. 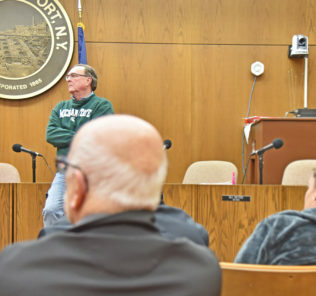 The incident she’s referring to occurred when residents from Water Street — who were suffering in the shadow and watershed of the dangerous abandoned industrial site — went to the congressman’s office in Buffalo to seek his help and support. 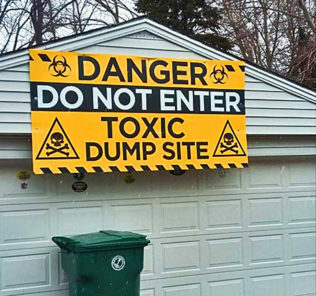 “It was Kathy Hochul and Charles Schumer that got Flintkote fixed,” Nicholas said. 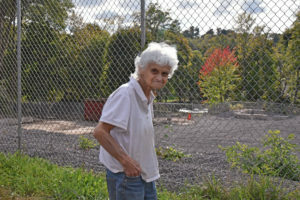 Shirley Nicholas in front of the former Flintkote Plant after remediation in 2015. 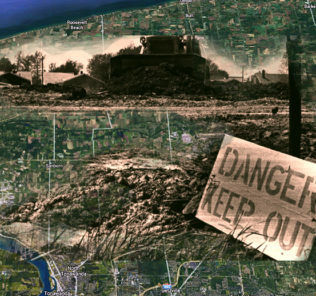 Her desire to see changes at the Flintkote site across the street from her home — and feeds directly into 18-Mile Creek and Lake Ontario — started when a girl fell from a 30-foot water tower. After hearing cries for help, her husband Nick — who’s an EMT — ran from their house and found the girl. That’s when Nicholas approached then-mayor Michael Tucker about dismantling the tower, which was unsecured and a magnet for Lowertown kids. Tucker’s response: “We don’t own it. Go to the county. We don’t have any money,” Nicholas said. 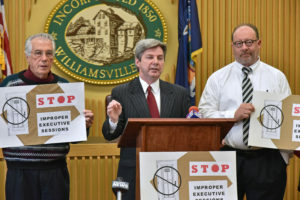 Getting nowhere with the county as well, Nicholas listened to the advice of Lockport resident and friend Jean Kinney who said Hochul was visiting radio station WLVL. Two years later the project started, and after four, the site was remediated. 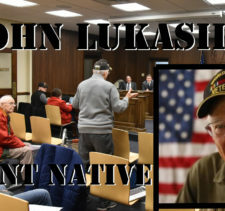 More recently, a few blocks down the street, an underground 15,000-gallon oil tank containing toxic heating fuel was removed in January by the DEC. Nicholas was also involved in that effort, and she repeatedly thanked Alderman-at-Large Joe O’Shaughnessy for his direct intervention with the state agency. “It would have never gotten done without him,” she said. Along with roughly 40 other recipients from Region 2 (which includes New York, New Jersey, Puerto Rico, the US Virgin Islands and 8 federally recognized tribal nations), Nicholas is invited to the awards ceremony May 19th in New York City. 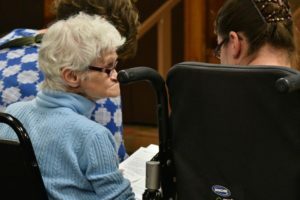 However, because she has to care for her husband Nick — who recently suffered irreversible brain damage due to a home oxygen-machine malfunction — she said she most likely won’t be attending. 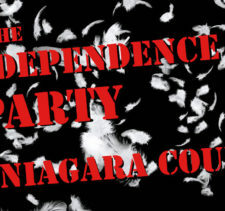 As a recipient, she’s one of just a few from Niagara County that have ever been given the award. And there’s still so much work to be done in Lockport, she said a day before her 80th birthday. 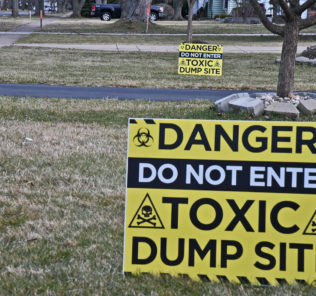 “There’s more than 20 contaminated sites that we know about in Lockport,” she said. 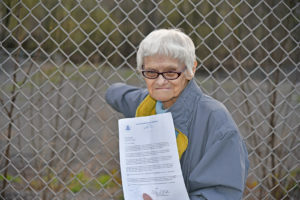 At the top of “Shirley’s List” is Upson Park as well as the abandoned Simonds Steel site, which was involved in the Manhattan Project and is said to be highly contaminated with radioactive materials from the WWII-era project. 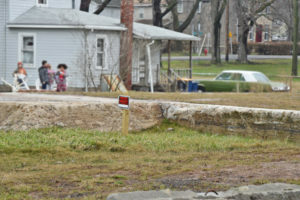 “And with all the pollution there, Upson Park should have a fence around it,” Nicholas said. Shirley Nicholas at an E.P.A. meeting in 2016 detailing the next steps in remediating contaminated sites along 18-Mile Creek. The $25 million clean-up plan was announced several months ago, but funding, which wasn’t secured even then, is in limbo until changes at the E.P.A. by the Trump Administration take effect. I’ve watched her for years on the televised board meetings. Great job!!!! Shirley is a true hero and an inspiration. Congratulations to a true public servant. Go, Shirley, go!